Some days are difficult, whatever that might mean for you. We might have too much going on in our lives, innumerable stressors that make it difficult to see the bright side of things or find a reason to smile. Especially this time of year, as the holiday season ramps up and we find ourselves coping with the dreary nights that accompany the change in season, things can be harder than they have to be. Some days, to put it simply, we need hockey. The Rangers were ready and able to fulfill that need for the better part of the last decade. 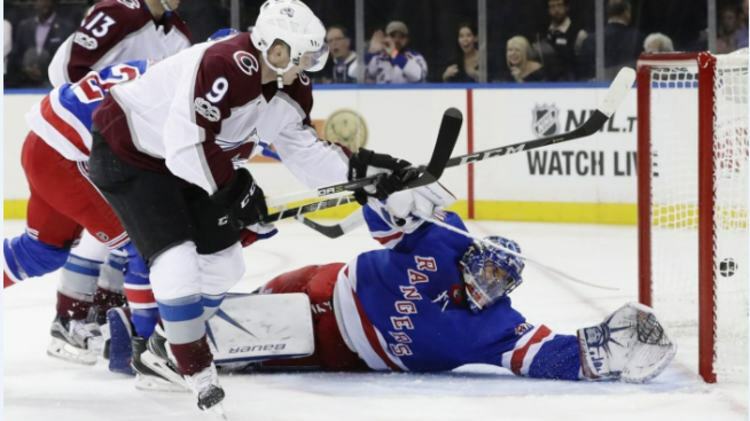 Night in and night out, Henrik Lundqvist led the Blueshirts onto the ice and gave them a chance to win, with the team in front of him for the most part matching his drive and intensity. For roughly ten years the Rangers were able to deliver triumph after triumph, coming within one game of the Presidents’ Trophy in 2012 and hitting that mark in 2014. Obviously, we know that this isn’t the most probable scenario for the next couple of years. Given the decline of the 2010’s Rangers, the rebuild that we find ourselves knee-deep in, and the overarching imperative of getting high draft picks, making the right trades, and landing prized free agents looming large over the short-term serotonin rush of winning in the here and now. Still, we’ve had a decent taste of that winning flavor this past month and change, although it’s begun to sour again. This is totally expected by anyone with a decent eye for hockey, but it’s caused something vaguely schismatic to occur in the Rangers community. We know and want the Rangers to succeed long term, but we also know deep down that hockey is more than just a game. On those hard days throughout the long winter, a Rangers’ win satisfies like almost nothing else. It’s tough then to reconcile the two mindsets, and creates a tension. This tension probably can’t be resolved, but it’s still worthwhile to identify and name it, to be upfront about what’s going on in our collective conscience, and to cool off the temper that flares when somebody “just doesn’t get it.” We can all walk and chew gum, and even though we might want to only do one or the other, harboring two mindsets is no less wise that any other perspective. I know I’ve written before about how it wouldn’t hurt the Rangers to get worse on their way to drafting Jack Hughes or Kaapo Kakko, but there’s also so much we can’t control. Aside from the fact that the draft is a literal crapshoot – remember the year that the Devils got the 1st overall? That kid is still on his ELC – there’s other things we can’t control as well. We can’t control when we struggle, or when life piles on everything it’s got to burden our backs. We can’t control when we need hockey the most, and we can’t control how relieving it feels when everything goes our way. What’s tough is that on the days that just beg for that old-timey win song and the stick salute at center-ice, other people may not require such a lift. Things don’t always line up neatly, and we inevitably will find ourselves in different headspaces than others depending on the evening. Friction is somewhat unavoidable, but I will say this: I hope whenever you need it, these Rangers deliver for you. "The Tension of a Rebuild, Or: In Defense of Winning", 1 out of 5 based on 5 ratings. Dylan Cozens should be the pick for the Rangers…Tank it baby Tank it. Short sighted folks will want to win but the formula to a rebuild is high draft picks to get you the #1 center or wing. As for the D I believe in all D men are as one. screw the concept of top pairing D and bottom feeder D.
I’ve changed my mind, I don’t think Panarin and Stone can save this team going forward. The defense needs an entire over haul. I hope that these kids in Hartford have the goods. I totally disagree. I think the Rangers have lots of talent and ability on defense. The problem is that they simply don’t really have a first pair. Add a quality first pair to the mix and one can make a very solid defense corps from the current roster. Unfortunately, getting that first pair is a tall order as such players don’t grow on trees. It seems unlikely that any true first pairing guy (present or future) is on the current 50 man roster. It is the forward group where depth is a problem. On the bright side, Mikko Koskinen, the lesser of SKA’s two goalies the past two years (Shestyorkin the other), seems to be emerging as a top NHL tender. I agree Ray. A dominant first pair is the key hole in the defense corps. OEL was the man to target if he ever wanted out of that death pit in the desert. Karlsson might want in here if the $$ and direction makes sense for him…. Hajek, and Lindgren are good, but the one I want to see is the Rykov kid coming over at the end of the KHL season. He is big, plays with an edge, and can defend, something that appears to be a novelty on this team!!!!!!!!!! Why would you assume that someone like Stone would pick here to sign long term? Investments like that have a lot to do with the player personnel. I’m sorry but I don’t see him leaving Duchene to play with someone like Zib or follow the hype in Chytil. He’s the one player between that expresses how he wants to stay in Ottawa. He’s already looking after their rookies and everything. Winning is one of the main ingredients to get Panarin’s attention. I think he will pick Chicago, Kane and Toews before a rebuilding NYR team. Banking on those two would certainly help but there’s so many variables why they wouldn’t want to come here. While most people are crying about the losses, I have been enjoying watching the kids get better as they play. 3. Henrik will not save us this year. And he has declined the past two seasons as is well documented if people cared to dig. Now depending on where you stand on those 3 items defines your outlook on the season. And what moves need to be made going forward. Based on what I see, and my years of both watching and playing , which can’t be said for many , this team and it’s current resource list doesn’t have IT. Maybe in a few years but not now. Hanks best years are behind him, the young players need to grow up, and the rebuild continues. Are you not a typical kid from the state’s who played good old fashion high school hockey? What makes a team successful at this stage is a 180 difference in what you probably grew up with. I had friends and their friend’s who told me about their college puck experiences from all over NY and Northeastern university. One thing that I learned was that high school bs won’t work at the NCAA level. I also played against countless teams from all over the states and from Canada during Can/Am weekend’s. The only thing I took from my experience was that I would die and come back to life to have a goalie like Hank. I want to see grit like no other fan but this team lacks overall skills more than team toughness. For starters, the top 6 isn’t overwhelming with talent, therefore this team needs to be a high flying 4 line attacking offense. The Rangers are also missing two stay at home d men to play with ADA and Pionk. Hank isn’t the problem, he can still hold his own and half of the team’s jockstrap when they don’t show up to play. Actually no, but if that helps you validate a point I’m willing to listen. Would I have killed for a goaltender like hank. Yes. Are his skills less than they were 4 years ago? Yes. Would Hank from 4 years ago let in 3 softies in the 3rd. No way. He’s not the problem but he’s also not the long term solution after this season. Unless he pulls some Marty Brodeur stuff out of his buns. And I don’t think he is better than fatty soooo. My only logical conclusion is to get rid of him while I can for a good haul. Same with zucc. And Staal. Get what you can for them while you can. For me it makes more sense from an asset perspective. The problem is the system is still in flux. There are adjustments from game to game. Small nuances, I watch gaps and try to keep my eye on away from the play. Hard to do when watching tv. But you can see during the replays what’s going on. Right now Quinn is plugging who he can into the lineup on any given variation and moving on from there. They are all still learning the systems nuances. And they aren’t really playing the system he wants yet. But giving up 25 giveaways. That is just craziness. That is on the players. By the way I agree on your other points. In my opinion, you build from the D and upwards…..I would not be opposed to dismantling the entire defense….I don’t want to see Igor go through the same crap as Henrik has gone through the last thousand years or so! !……Seriously I believe that if Quinn gets the right players……he will deliver the Filet Mignon!